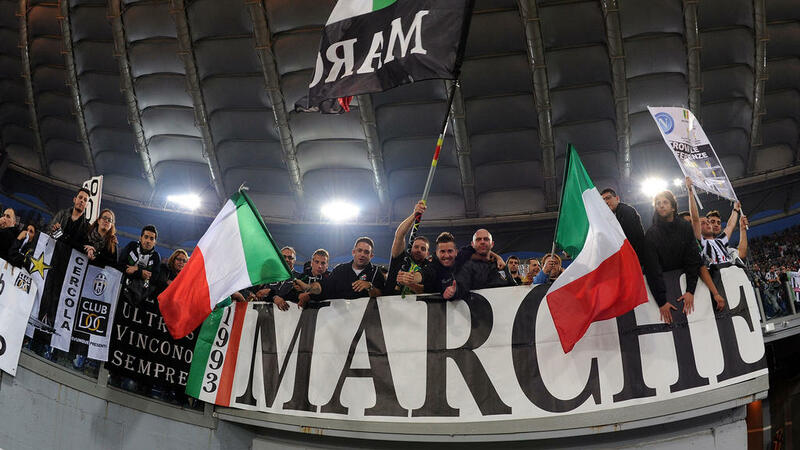 Italian champions Juventus turn their focus back to their quest for an eighth consecutive Serie A title on Saturday against Parma just days after the holders' bruising Coppa Italia exit. The big guns all suffered upsets with Juventus crashing 3-0 to Atalanta, Napoli falling 2-0 to AC Milan and Roma suffering a 7-1 humiliation at Fiorentina. Juventus had signed Cristiano Ronaldo last summer from Real Madrid for 100 million euros ($114 million) as they pushed for a treble of Champions League, Serie A and Coppa Italia crowns. But the dream evaporated as the Portuguese star played a peripheral role in Bergamo, dumping his team out of the competition they had won the previous four years. "It's not an evening to forget, but one to remember, often, to prevent it from happening again," said Juventus coach Massimiliano Allegri of his side's first defeat in 23 domestic games this season. Unbeaten in the league, Juventus are comfortably cruising 11 points clear of second-placed Napoli in Serie A after 21 games. Allegri urged the team to react accordingly ahead of their Champions League last 16 first leg tie against Atletico Madrid on February 20. "If you react in the right way, these nights can do you good and help you to raise your level of focus," said Allegri. "Obviously, that needs to start on Saturday with a win over Parma." The defeat was damaging in every way. Skipper Giorgio Chiellini limped off with a calf problem to join fellow defender Leonardo Bonnucci and centre-back Andrea Brazagli on the injury table. German midfielder Emre Can -- who conceded an own-goal in Juventus's come-from-behind win against Lazio last weekend -- remains in doubt with a gastrointestinal bug. But veteran Uruguay defender Martin Caceres could get his first start after arriving from Lazio on loan, in Juve's only signing of the January transfer window. Carlo Ancelotti's Napoli host Sampdoria in need of a win after their league hopes were dented by a goalless draw against AC Milan last weekend. But motivation will be high in Sampdoria with forward Fabio Quagliarella targeting a new record for scoring in 12 consecutive Serie A games. Quagliarella's brace against Udinese last weekend saw the 36-year-old equal Gabriel Batistuta's record. The Genoa side are also just two points adrift of fourth-placed AC Milan. Meanwhile Roma's Cup collapse has left coach Eusebio Di Francesco's hanging by a thread, days after his side threw away a three-goal lead to draw 3-3 against Atalanta. Di Francesco remains defiant, and said he "won't quit" after the rout in Tuscany. "I question myself and I struggle to come up with clear answers," said Di Francesco, whose side had come back strong after a slump with three consecutive league wins before last weekend's stalemate. Di Francesco will also have an eye towards their Champions League clash against Porto on February 12. AC Milan, meanwhile, spent big this January bringing in Polish ace Krzysztof Piatek and Brazilian Lucas Paqueta, both on 35-million-euro deals. Piatek proved his worth by sealing Milan's passage to the Cup semi-finals with a brace on his first start. AC Milan are one point ahead of Roma in the table, with Gennaro Gattuso's side occupying the final Champions League berth. Atalanta, in sixth behind Roma and buoyant after their heroics against Juventus, will bid to pull closer to the Champions League when they travel to Cagliari on Monday. Inter Milan coach Luciano Spalletti is also under pressure as his third-placed side prepare to host struggling Bologna. Inter lost in Torino last week and were dumped out of the Coppa Italia by Lazio on penalties after extra time in the San Siro on Thursday. There are reports former Chelsea boss Antonio Conte is being lined up as his successor.